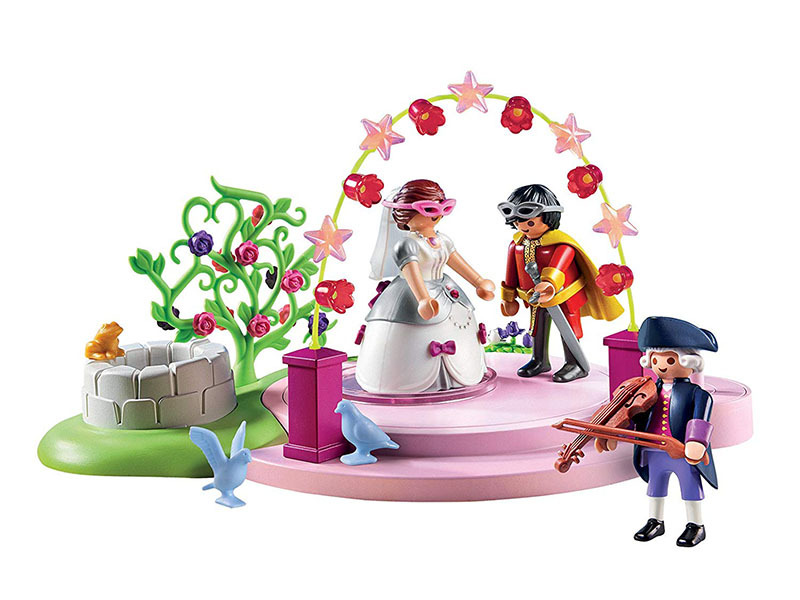 The Playmobil Masked Ball is the perfect way to celebrate a royal occasion. The King and Queen invite you to the Masked Ball! Her highness's evening dress is sparkling with rhinestones and her neck is decorated with precious jewellery. "May I have this dance? ", the mysterious man in the mask asks the lady. The couple dances circles to the romantic melody of the violinist. Place a figure on the dancing platform, turn the crank, and watch the couple dance in circles. Includes three Playmobil figures and accessories.